You've been waiting all year for this! Celebrate the holidays with handmade gifts from Craft Alliance, we have new collections of jewelry, glass, clay, and more arriving every day! Shop new arrivals and classic favorites, featuring special holiday collections by Kim Kenney, Milli Hershman, & Susan Speck. Also, our windows are filling up with sparkling ornaments for our famous holiday display. 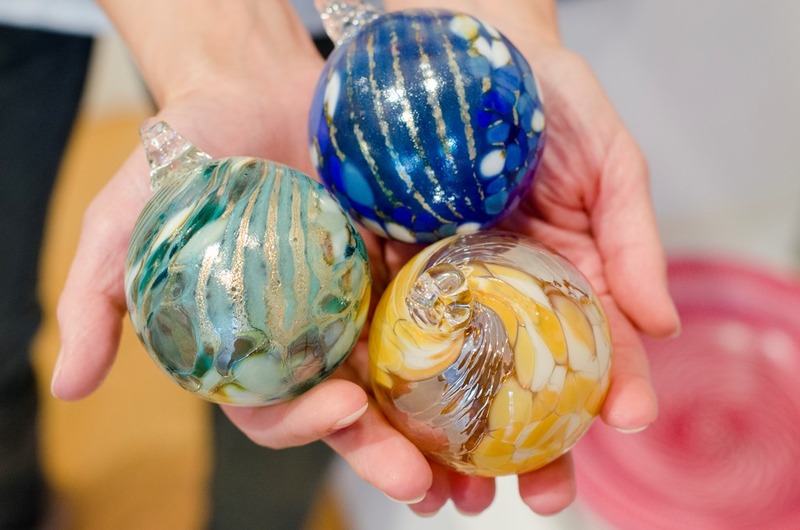 Our wide variety of ornaments includes classic blown glass by favorites Sam Stang, Third Degree, and Theo Keller, as well as metal ornaments by Sondra Gerber & paper ornaments by Erica Regelin. New & current members save 20% store wide! Double Discount Member Appreciation Weekend is a great time to become a member for the first time or renew your membership, and find the perfect hand made gifts for everyone on your list!